Let’s be honest. We live in Denver because we want to spend a ton of time outdoors. Come on, you’ve been working hard enough. Now it’s time to play hard, outside! Seriously gang, it’s time for a hike. Of course, that’s no problem around here. Grab some water and a snack, then hit these epic local trails to get back in touch with your inner explorer. If you want to seal the deal on your Colorado residency, you better have at least one 14er under your belt, and these give you a two-for-one deal. Just be thoughtful, folks, even though these are considered “easy” as far as 14,000ft. mountain peaks go, plan ahead, dress in layers, and avoid these until summer. 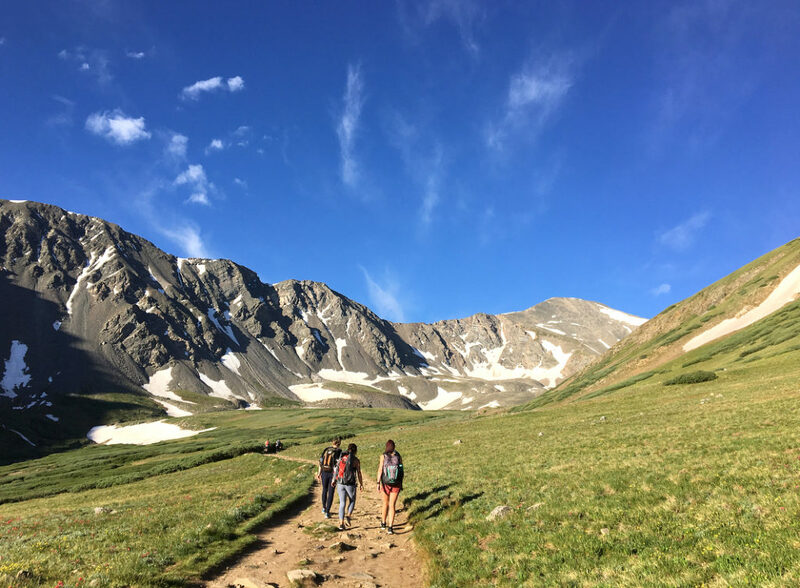 Start the four-mile, 3,000-foot elevation change up Grays, then follow the saddle over to Torreys. Your legs will ache for a couple days after, but you’ll forget all about being tired when you see the views above 14,000 feet. This spot is nature’s Stairmaster. 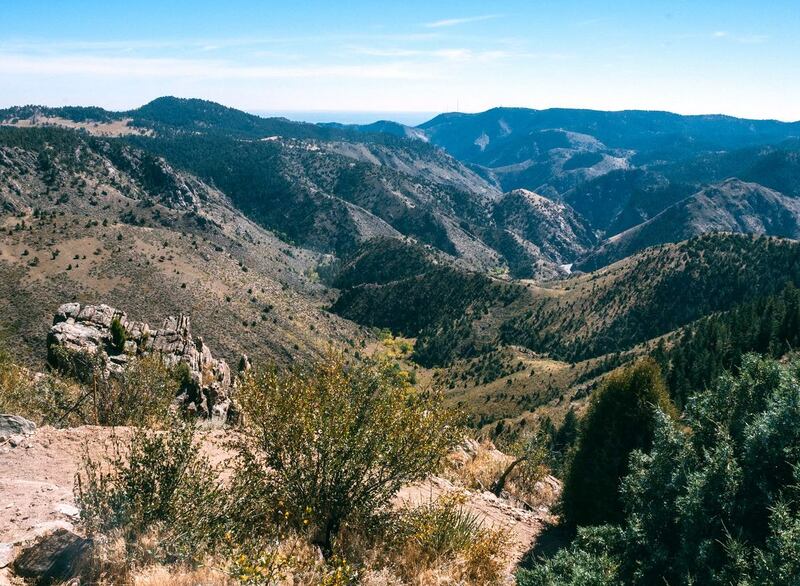 With miles of rocky terrain, steep bluffs, and 1000-foot elevation change, you may be a bit intimidated, but we promise the views are worth it. 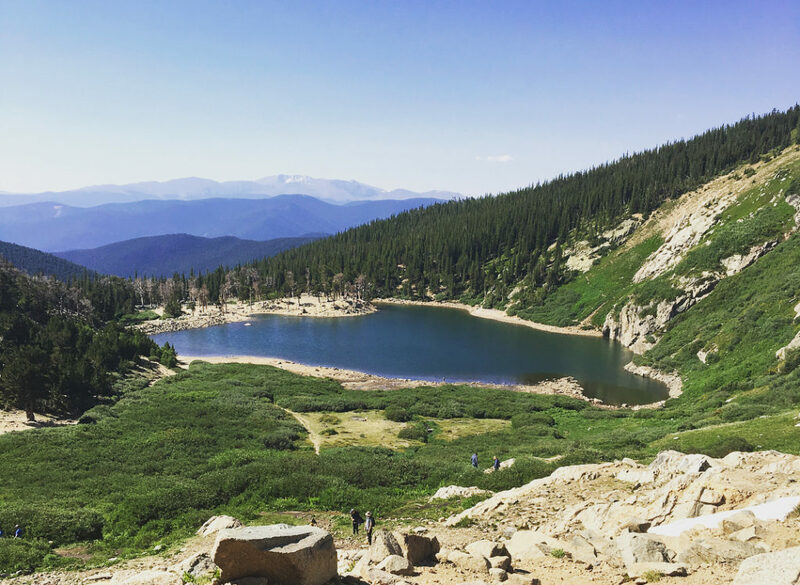 Feel the burn for a little over four miles, and at the top enjoy views of Denver, Golden, the Coors facility, and also the Continental Divide. And this is all just a 25-minute drive from the city to the trailhead. Imagine 360 degrees of unobstructed pure, Rocky Mountain views. If you’re about an hour from Denver, near Sedalia, you’re not daydreaming. You’re looking at Devil’s Head Fire Lookout. You’re going to want to Instagram this one with lots of those heart-eye emojis. 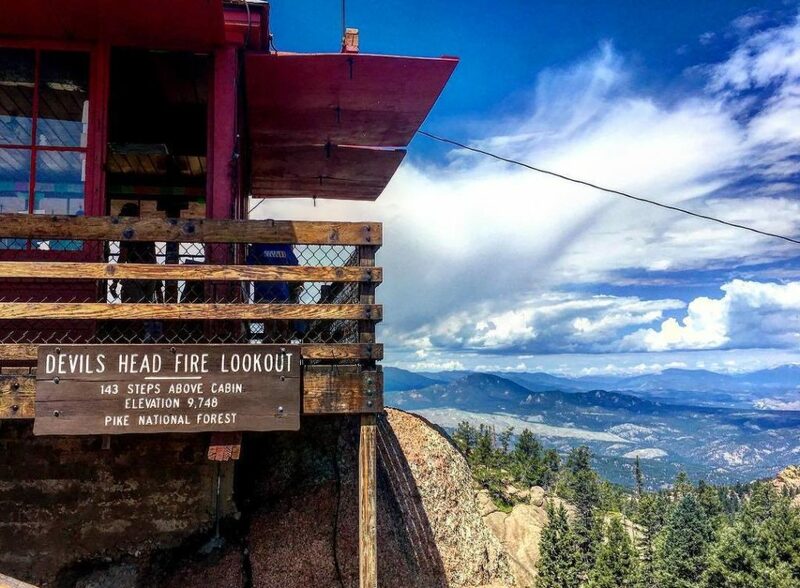 First, you’ll take a mile-and-a-half-long trail from the Devil’s Head Campground, then scale the 143 steps which get you to the actual fire lookout – yes, your legs may be jello after that. 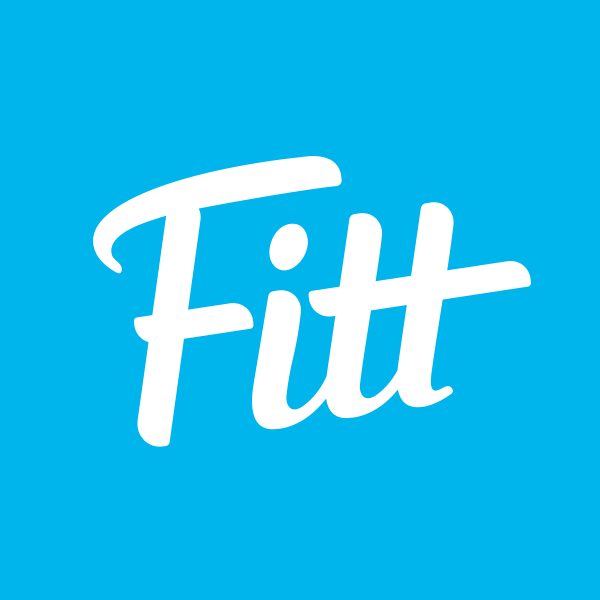 Fitt tip: This trail is only open in the summer, and if you’re up for camping, make this a full weekend adventure. Trying to avoid the weekend warriors at other crowded state parks? 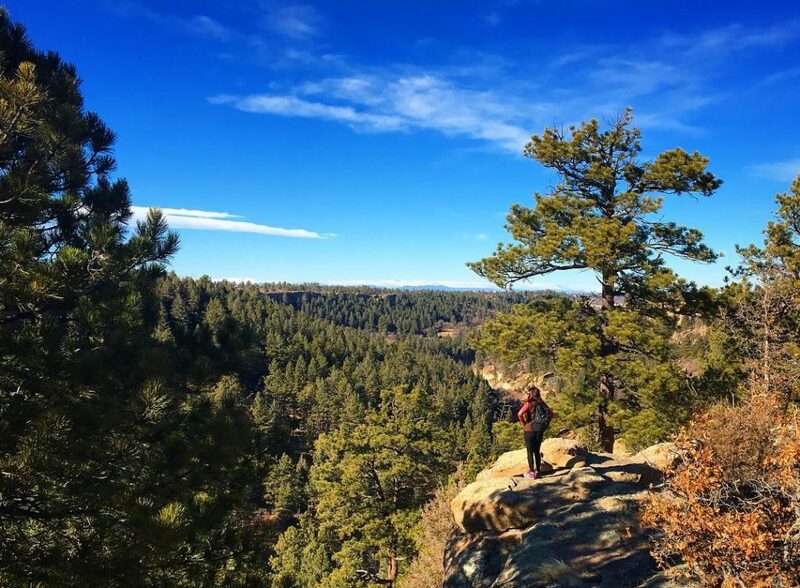 Take a drive down I-25 and explore this Castle Rock hike – especially convenient for South Denverites and worth it for anyone looking for a change of scenery from the Westside mountain trails. 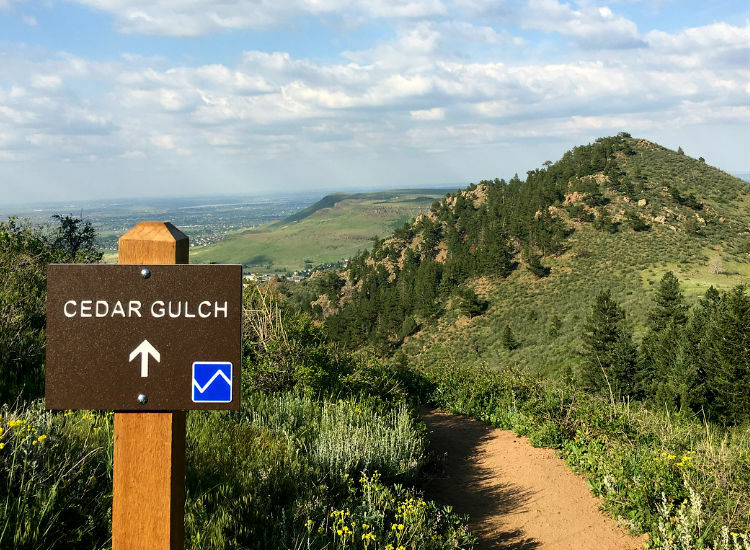 Carve out some space on one of several trail options, including a short hike to a waterfall and also scenic views along the Cherry Creek Trail. Here’s a great any-time-of-the-year option, especially if you want something closer to the city. Portions of this trail are popular for snowshoeing and cross-country skiing in winter, and it even crosses a pumpkin patch in the fall. No worry of getting hangry, either. Because this loops through parts of Lafayette, Broomfield, and Louisville, if you decide to conquer the whole trail, there are plenty of places to stop for a snack or drink. 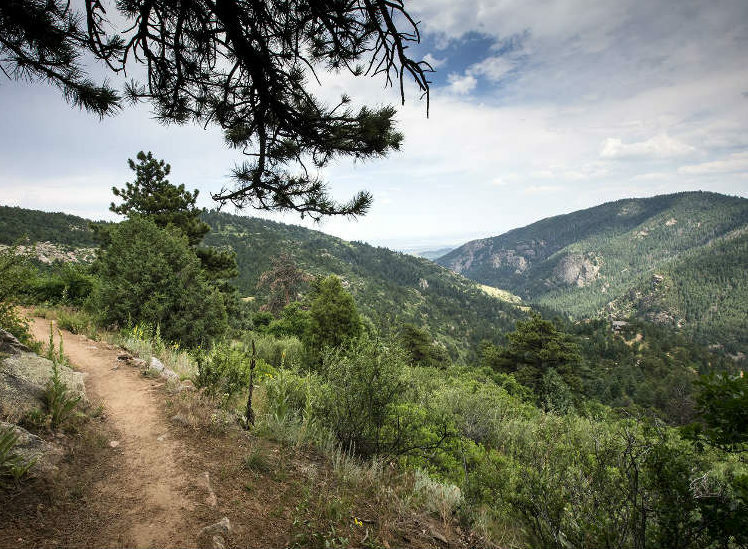 Part of the Jeffco Open Space system, Mount Falcon offers several trails and routes all ranging from beginner to intermediate. 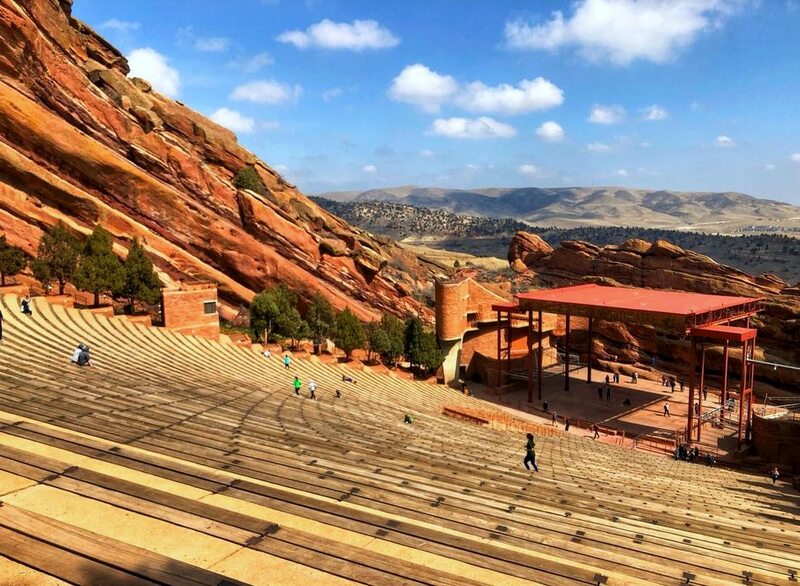 You can really have it all at this park — stunning views of the Rockies, downtown Denver, and historic ruins along the way. This is a super easy 30-minute-or-less drive from Downtown Denver, so get to it! Hiking North Table Rock Mountain is like walking into your backyard…if your backyard was lush wildness. 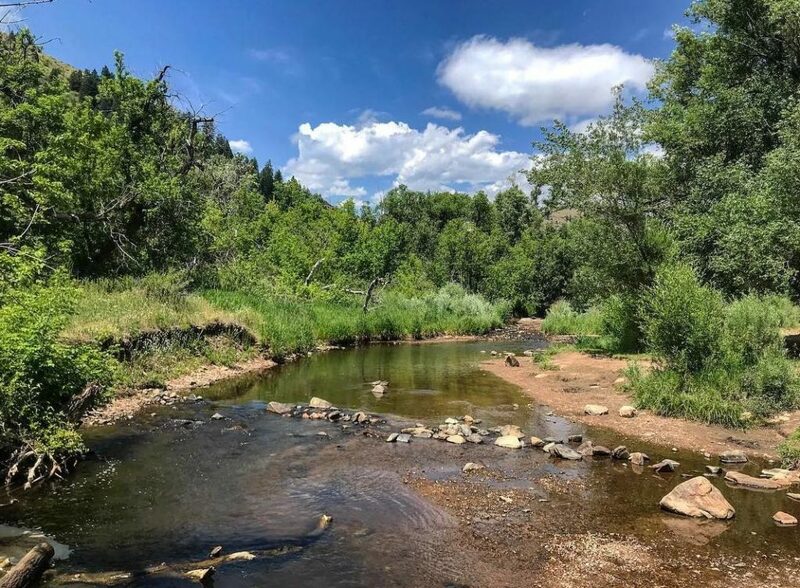 At just about 20 minutes from the city, you’d be crazy not to come play in 15 miles of trail and wildlife galore atop a mesa. Yeah, there is very little shade, but wear a hat to enjoy the terrain, wildflowers, and views from every angle. And if you’re wanting a bit of a rush, this is also a popular spot for rock climbing and mountain biking. 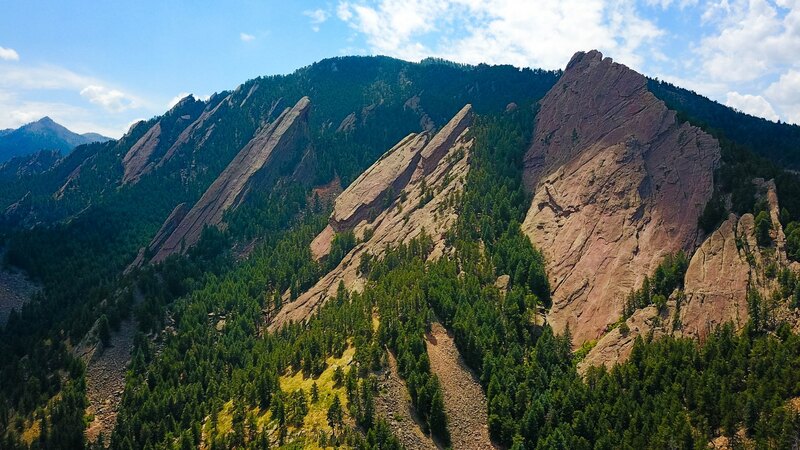 Make a scenic drive to Morrison (only 30 minutes from Denver) to explore Lair o’ the Bear Park. Wildflowers, streams, valley, and peaks — something for everyone and great for all levels. 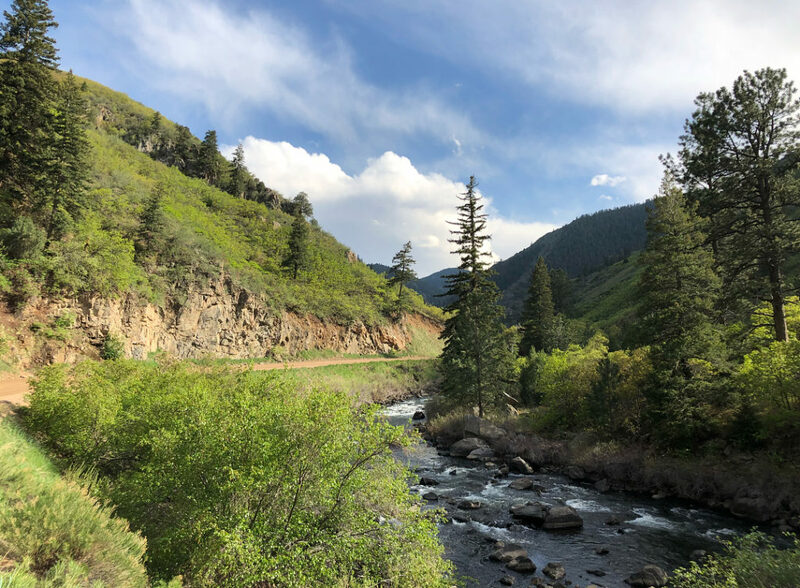 You can jet quickly up the mile-and-a-half Bear Creek Trail or opt for the lengthier 13-mile trail that will take you through three parks to the west. You heard it from us: If you’re up for a little challenge, the longer trail is worth it to avoid the crowds. 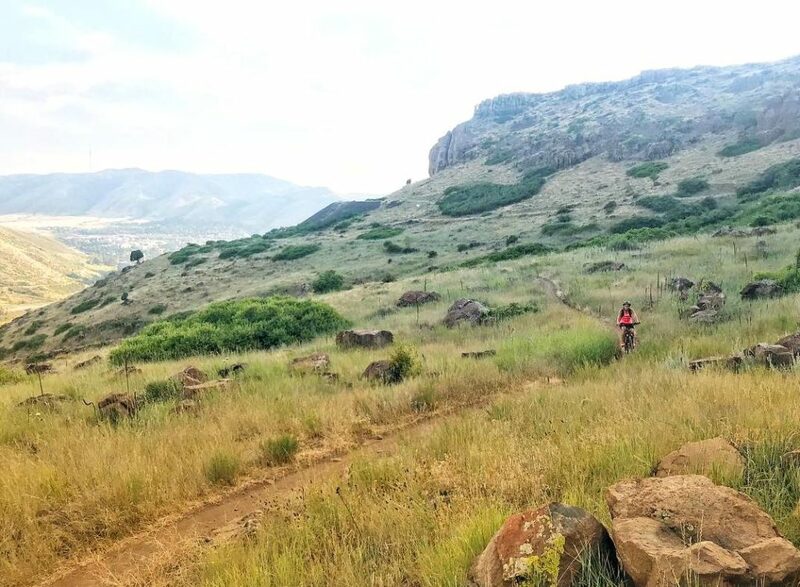 We’ve all been to at least one concert here, but you might not realize that Denver Mountain Park is home to two great trails. Trading Post Trail is awesome for beginners at just under a mile and a half, while Red Rocks Trail is a bit longer six-mile loop. Either way, you get to experience the rock formations and a panoramic view of the cityscape and beyond. Bring your own tunes, though. If you are short on time but need your nature fix, hop on the Green Mountain Trail in nearby William F. Hayden Park. You can bike, walk, hike, or run to enjoy the lake, city, and mountain views close to town. And because of its location (dryer than the foothill parks), this trail is a safe bet year-round if you want to avoid caking your boots with mud. So you know a thing or two about hiking, huh? Then Golden Gate Canyon State Park is definitely your jam. Sleep in a yurt then tackle the trails! 80 bucks a night will snag you your very own yurt (if you don’t know, you’re missing out) – and this is a great option year-round. The yurts are equipped with heaters, and in addition to over 35 miles of spring and summer hiking trails, this is an excellent location to watch the aspens change color in the fall, or to snowshoe in the winter. We’re certain on this one: You will love the unreal views of St. Mary’s Lake, several Rockies peaks, and the year-round snowfield of St Mary’s Glacier Trail. It’s just about an hour outside Denver in Idaho Springs. Although a shorter hike (1.5-mile loop), it is pretty rocky and often snowy, so the terrain calls for preparation (sturdy hiking shoes or boots; come prepared, guys). During the winter, keep this one in mind for snowshoeing and cross-country skiing as well. 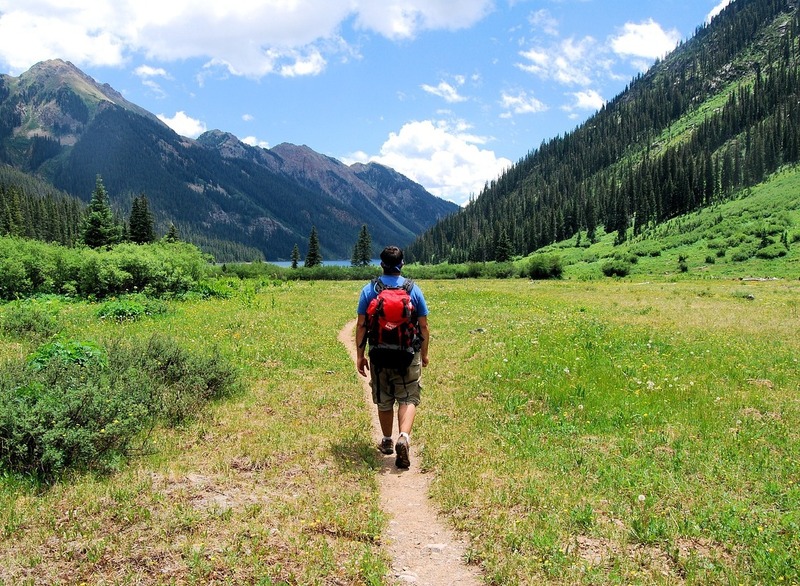 This trail in Waterton Canyon is perfect for hikers of all levels. It’s also a biking, horseback riding, and fishing wonderland. In and out in a little less than 13 miles, don’t be surprised if you get to spot some wildlife – bring the binoculars for some close-ups of birds, and if you’re lucky, bighorn sheep! We love dogs. Fact. 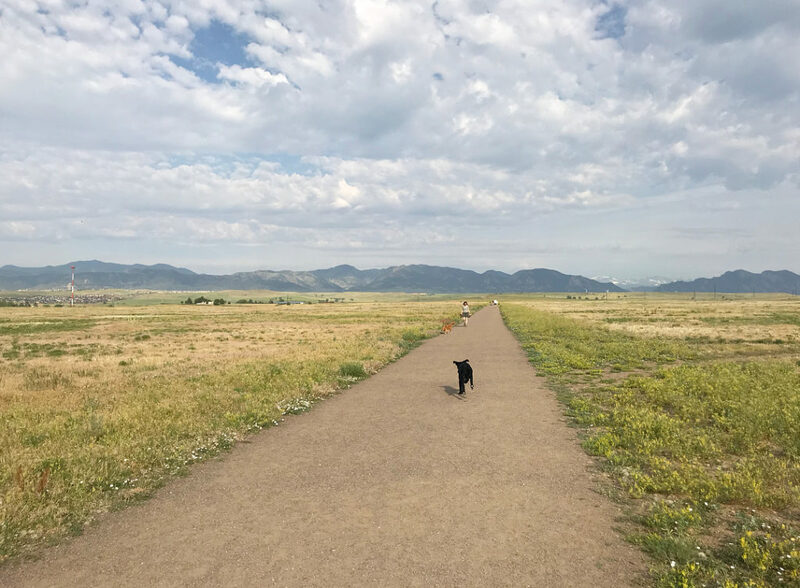 So, load up the pup and take him with you to this dog-friendly, off-leash open space. We’re talking about Westminster Hills Open Space (within the city limits of Westminster) and it’s totally easy to access. 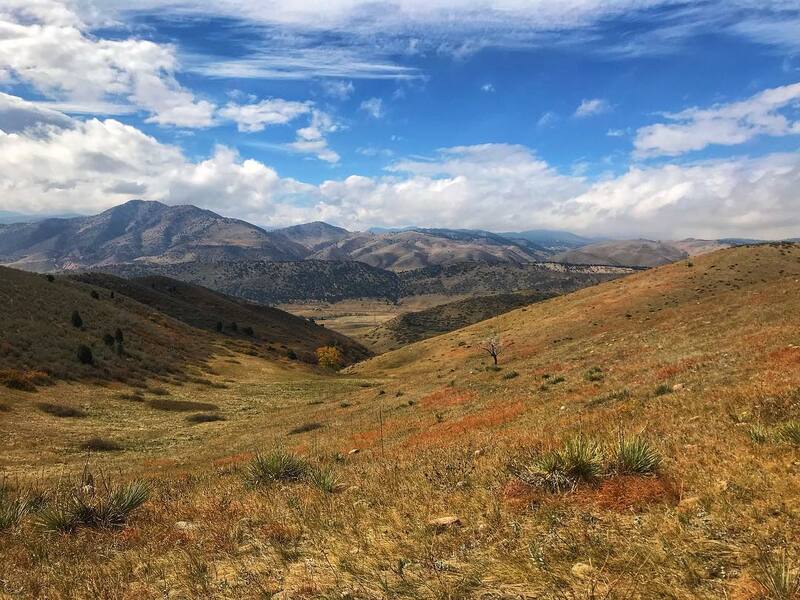 Spend the whole day with over 1,000 acres of open space, trails, and creeks, plus views of the whole Front Range and Standley Lake. Go rogue from your responsibilities with the Centennial Cone! These 12 miles will truly take you off the grid. 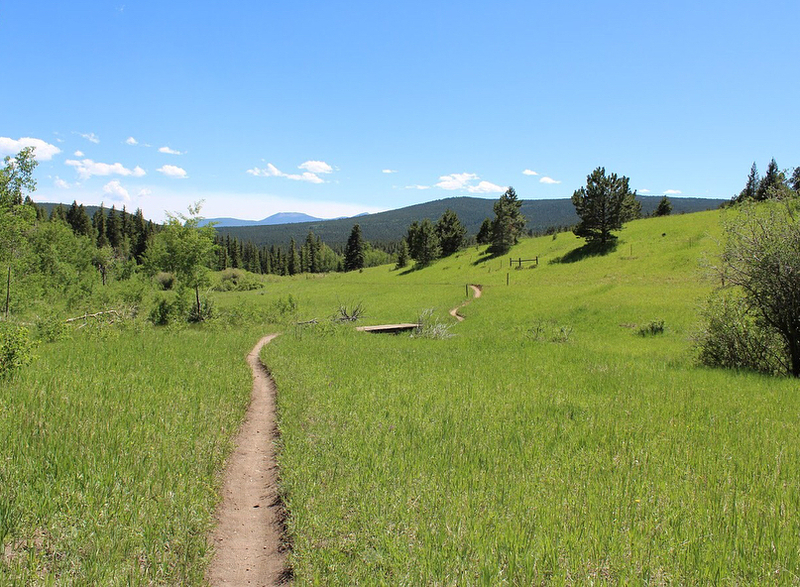 And it’s not uncommon to spot elk and other wildlife while venturing up this slightly more challenging trail. 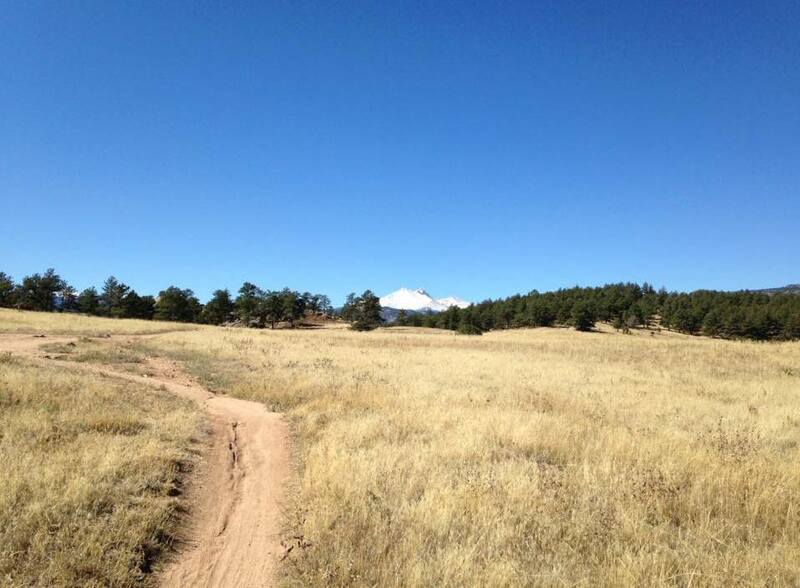 While some of the trail offers flat meadow, the rockier portion is not for the faint of heart. Consider taking a picnic lunch for the halfway-point to refuel for the rest. 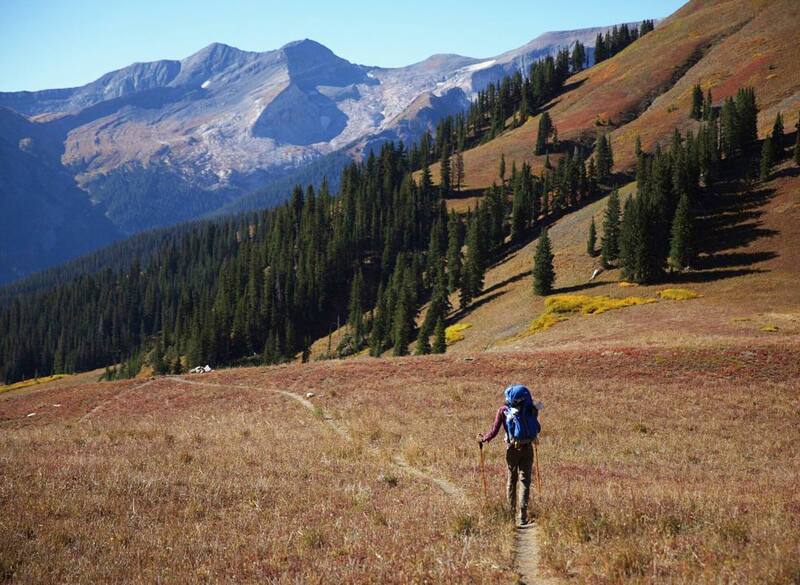 Explore a piece of Colorado history on this trail. It is a truly unique hike, with tons of mine shafts along the route – as the name suggests, it used to be a wagon trail used for miners. Buckle up for phenomenal views and exposures of the Front Range, as well as views of the remains of the Silver Creek mining town. If you’re looking for a full-day trip, you can explore a little bit of historic Georgetown while you’re at it.